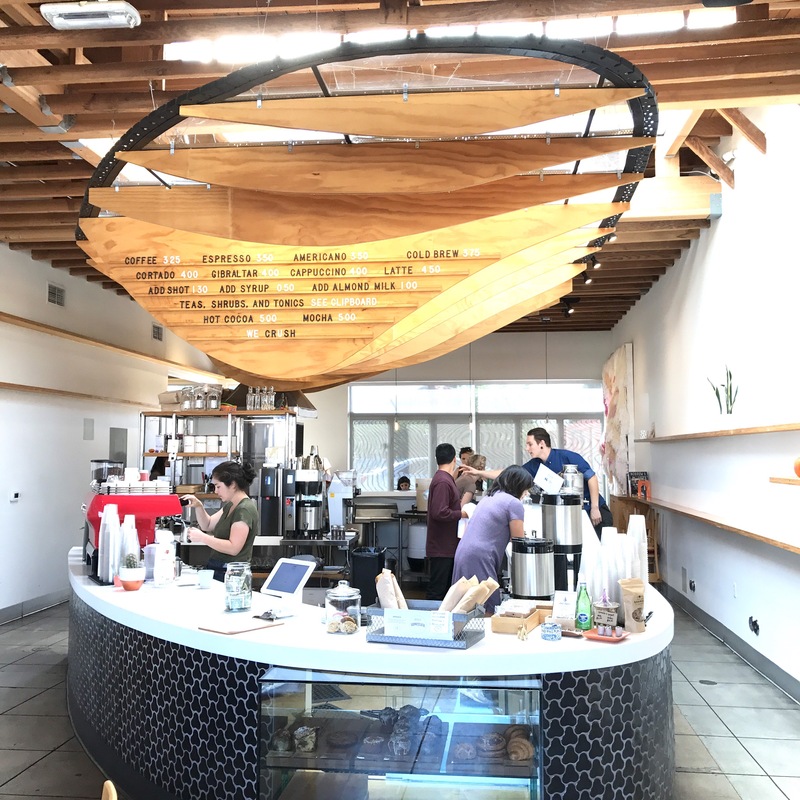 When I want to stay a while to hang out or get some work done, I cannot think of a better place to go than Dinosaur Coffee in Silver Lake. They have great coffee (from Four Barrel), mostly served in nice ceramic mugs, but there is so much more to this place than the coffee. The first thing to notice is the space/design of the shop. You have to see it for yourself. There is a great natural light and the wood menu board thingy that hangs over the bar/counter is cool, weird, and unexplainable. I love it. It’s relatively quiet for how many customers can fill the place. The staff are all so friendly, funny and fun! This place has major coffeetude. Tips: the cortado (with a bit of sugary goodness) or even one of their (non-coffee, non-alcoholic) shrubs. No wifi. Rare free LA parking in the hard to find back lot. Depending on the day, Dinosaur partners up with other food vendors — sandwiches, food trucks, bagels, etc. — if you want more than just a snack to eat. Oh, and check out the restroom…it will all make sense…maybe. Previous Previous post: First post! Thanks for visiting! I can’t stop yelling!